Smartphone battery technology hasn't advanced in decades, but we're finally on the verge of a power revolution! While chips and operating systems are becoming more efficient to save power we're still only looking at a day or two of use on a smartphone before having to recharge. That's why universities are getting involved. We've seen a plethora of battery discoveries coming out of universities all over the world. Tech companies and car manufacturers are pumping money into battery development, but while we've been writing about these developments for years they still haven't made it to our phones - this is because everyone is waiting for the perfect replacement before making that jump. Things are starting to change though, so we've collected all the best battery discoveries that could be with us soon. From over the air charging to super-fast 30-second re-charging, you could be seeing this tech in your gadgets sooner than you think! Lithium-air means using oxygen as the oxidizer, rather than a material. The result is batteries that can be a fifth of the price and a fifth as light as lithium-ion, plus they could make phones and cars last five times longer. The Bioo is a plant pot that harnesses the power of photosynthesis to charge your device, be it a tablet or phone. This already exists and can be bought now. Bioo offers two to three charges per day at 3.5V and 0.5A via a USB port that's cleverly disguised as a rock. The pot uses organic materials that react with the water and organic matter from the plant's photosynthesizing. This creates a reaction that generates enough power to charge gadgets. This is just the start, imagine entire forests harnessed in this way. Not only could cities be powered with 100 per cent green energy but there could be yet another reason to protect plants and trees. Great minds over at the University of California Irvine have cracked nano wire batteries that can withstand plenty of recharging. The result could be future batteries that don't die. Nanowires, a thousand times thinner than a human hair, pose a high possibility for future batteries. But they've always broken down when recharging. This discovery uses gold nanowires in a gel electrolyte to avoid that. In fact, these batteries were tested recharging over 200,000 times in three months and showed no degradation at all. This could be ideal for future electric cars, spacecraft, and phones that will never need new batteries. Scientists have discovered a way to harness magnesium for batteries. This means smaller, more densely packed units that won't need shielding. In the long run that should mean cheaper batteries, smaller devices and less reliance on lithium-ion. Just don't expect to see these appear soon as they're still in the developmental stages. 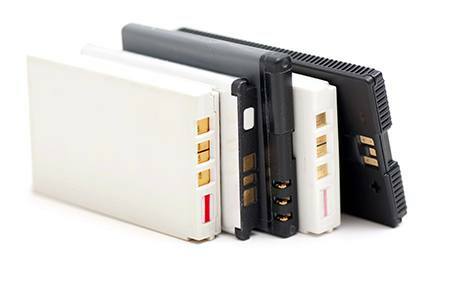 These are just a few of the many new developments in smartphone battery technology. To read more in depth about the technology behind these ideas, click here.